I have uploading articles about “Lighthouse Anniversary”. This place is “A little guesthouse under a little lighthouse”. So I am writing an article about (our?) lighthouse. 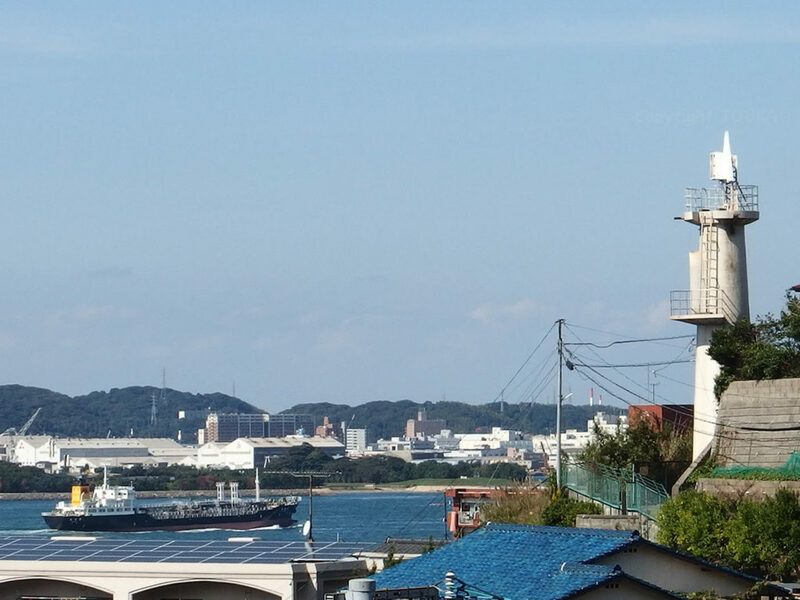 Along the Kanmon strait, one of the busiest sea routes in Japan, this lighthouse lead ships to correct direction with showing biggest port angle (53°) in this strait. Even local residents may not know this lighthouse but one of the biggest number of people from the sea watching this lighthouse. 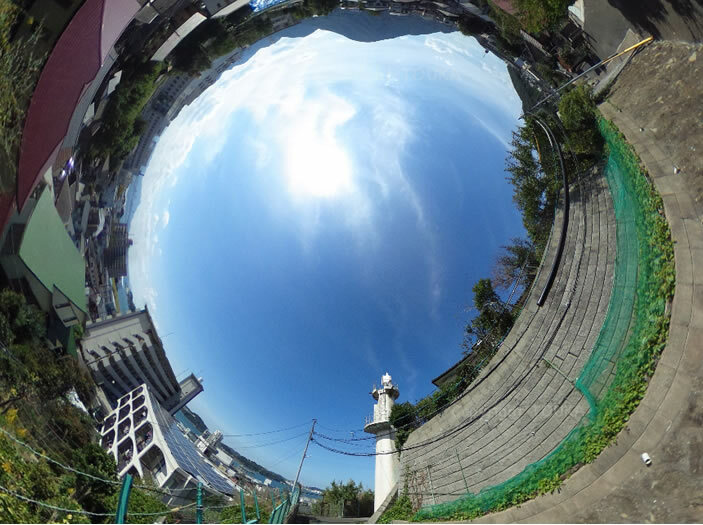 I don’t disagree that is because I put this lighthouse on the trademark of TOUKA, that I really love watching this light house keep facing ahead to SW (239°). It is also brave that this lighthouse keep watching the strait 24h a day without blinking. 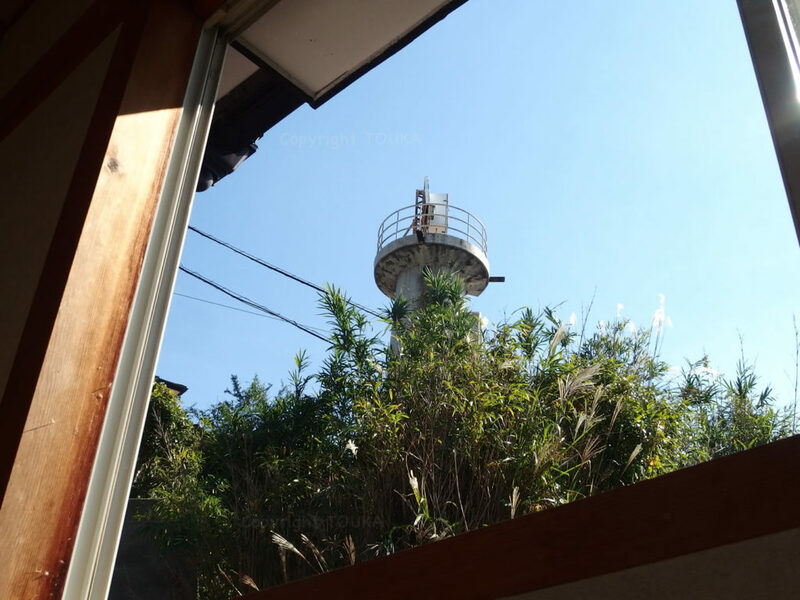 This lighthouse is not famous as the Hesaki Lighthouse but very hard worker. How about coming here to watch this hard working lighthouse on the 150th anniversary? Thank you and you have a nice day led by the light showing you the right direction of wonderful life/future. 前 過去の投稿: １１月１日って何の日？！/ What day is Nov.1st?! 次 次の投稿: News: NHKが町にやってくる！/ News: NHK is coming to town!